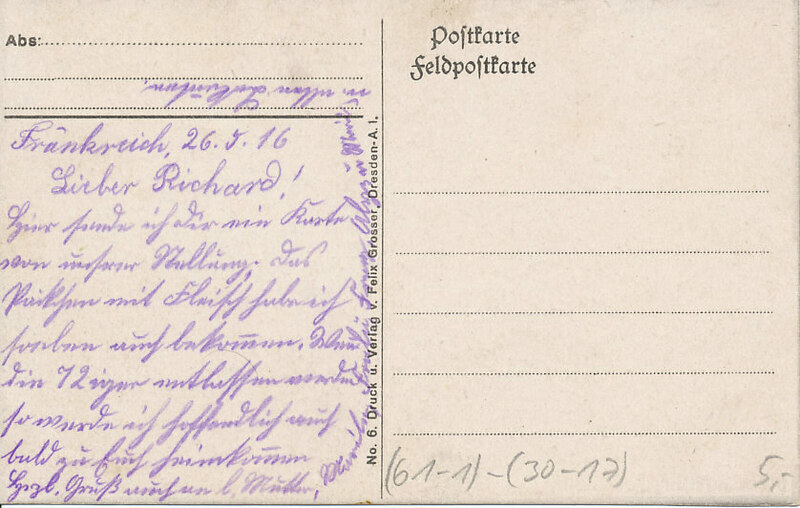 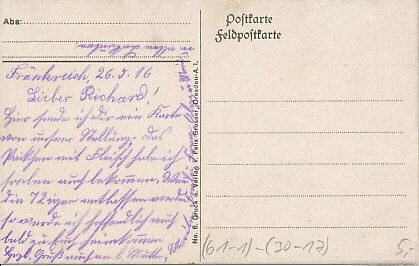 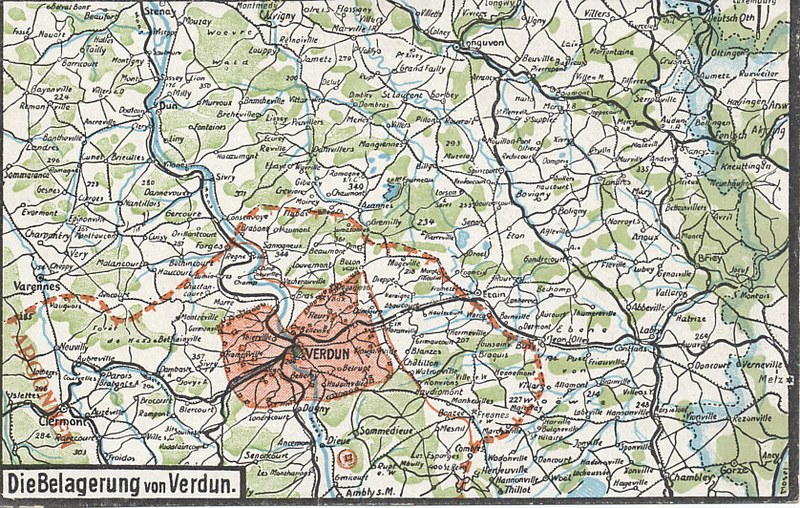 Postcard map with of Verdun, France, showing the forts of Douaumont and Vaux and the German siege line. 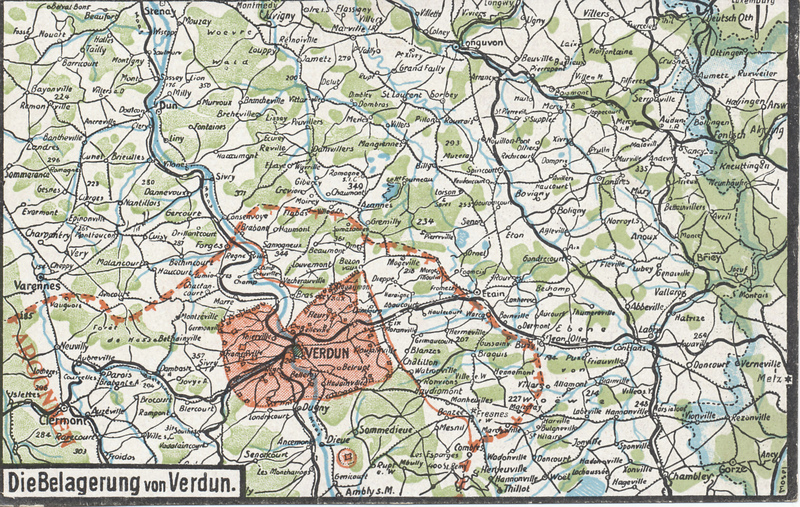 Verdun, France, a fortified city on the Meuse River, by the Argonne Forest. 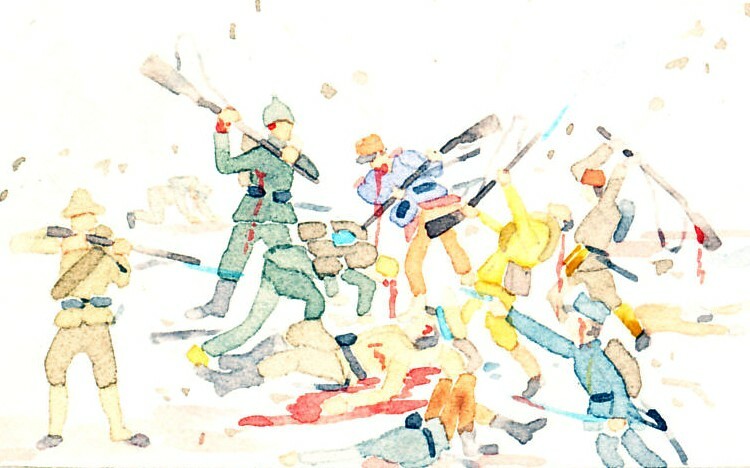 It was the site of the Battle of Verdun. 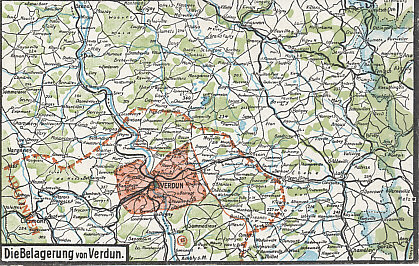 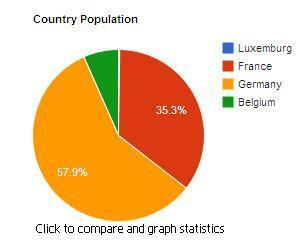 Verdun, France is a city in France.